Civil War history begs the question why? 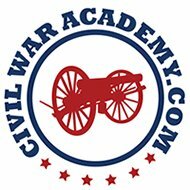 Ask the average person what caused the American Civil War and they will probably answer slavery. They are right; of course, slavery was the primary and most obvious cause of the war. There had been tension over slavery since the nation’s founding in 1776 and numerous compromises over the slavery issue had served to quell tensions for a time, but never to eliminate them. The most famous was the Missouri Compromise of 1820. Yet, other subtle forces served to turn the United States into two different regions, with two different value systems. Issues such as Chief Justice Roger Taney and the Supreme Court ruling in the Dred Scott case coupled with the election of Lincoln brought the slavery issue to a head. In Civil War history farming was important in both the North and the South, the different geography of the two regions contributed to the development of two different economic bases. The North’s natural resources allowed it to develop industries, such as the ship making and lumber industries, in addition to farming. The region’s many rivers and streams were ideal for powering the textile mills, which were begun in the latter half of the eighteenth century. Small farmers still played a large part in the North’s economy, but the North was an industrial region by the time of the Civil War and its wealth came from industry. Industry meant cities and cities required large centralized governments to work efficiently. Northern factory workers and other city-dwellers were accustomed to look to the government for protection and services. Local officials were a prominent part of city life. By contrast, the South had an entirely different way of life. The southern region’s geography and climate made it ideal for agriculture, especially for the growing of rice and cotton. In the early days of southern settlement, slaves were few, but were considered more efficient workers in the rice paddies than white indentured or hired laborers. Their African heritage gave the slaves better immunity than the white workers had, against the malaria and other mosquito-borne diseases that plagued the south’s tidewater area. Cotton initially was not a great cash crop, but the rise of the northern textile mills greatly increased the demand for cotton. The cotton gin invented by Eli Whitney also made cotton growing more profitable. This machine was operated by one person and could clean far more cotton in an hour than several workers could clean by hand. Planters chose to use slaves to plant and pick the cotton, because slaves were considered less expensive than hired labor. Many historians believe that slavery might have died out on its own, if it had not been for the invention of the cotton gin. In Civil War history southerners used all sorts of excuses to justify the use of slaves. Some pointed to scriptural verses that seemed to approve the use of slavery, while others noted that slaves were better provided for than northern factory workers. Slaves, they noted, were fed and housed in sickness and old age; northern factory workers did not have this protection. The wealthiest Southerners, the planters (plantation owners) cherished the supposed leisure that slavery provided to people in their class; some Southerners claimed that slavery eliminated class tension by freeing whites of all classes from menial labor. This was an obvious myth for many white southerners were desperately poor and struggled to make a meager living from their small farms. Even southerners who did not have slaves depended on farming to make a living. There were fewer large cities in the South than in the North and far fewer factories. Only a small minority of southerners made their living as factory laborers. Because most southerners lived in rural areas, they were not accustomed to centralized government. Local officials took care of local government matters, but these needs were few. Most southerners felt free from governmental restrictions. Southern society was hierarchical with the planters at the top, but even the poorest whites felt themselves superior to blacks. It was a society based on honor and duty as well as a tradition of leisure for the planter class and it soon prided it self on being distinct from the North. In the eyes of many Civil War history southerners the industrialized North was a coarse and uncivilized society. The different economies of the North and the South gave the two sides different ways of looking at Civil War history. Even northerners who were prejudiced against blacks were often against slavery, because they felt slavery caused unfair competition for free laborers; this argument figured prominently in “Free Soil” ideology. Free Soilers sought to prohibit slavery in the new territories, because it interfered with free labor. Northerners believed that they could work their way up in society by hard work and many did. The most violent confrontations between people who believed in free soil ideology and people who were pro slavery took place in the Kansas territory prior to the start of the Civil War. Kansas became known as Bleeding Kansas as a result of the violence. Northerners were also more inclined to look to the federal government for help. While they believed in states rights, they believed that staying united as a nation was the best way to protect those rights. When the southern states began to secede, northerners were inclined to believe that this action would greatly weaken the nation. For most northerners, the war was not initially about ending slavery; it was about keeping the nation united so that it would be safe and strong for democracy. Southerners, on the other hand, were not used to looking to the government for guidance. Civil War history suggests most rural southerners got along very well without ever seeing a government official. For them, the war was about preserving their independent way of life and not just about keeping slavery. Many southerners who fought ardently for the Confederate cause did not actually believe in slavery; they were fighting for states rights. For example, Robert E. Lee left the Union army to fight for the Confederacy because he was more loyal to his state than to the Union. This is actually quite ironic. Southerners were earnestly fighting for the freedom of each individual state to decide the slavery issue within their own state and yet, they were depriving millions of slaves of their rights as human beings. Also ironically, at the war’s beginning, the North was more concerned about holding the Union together for the strength of democracy, than it was about eliminating slavery, the very antithesis of democracy. Of course, in Civil War history the final irony is that the South’s blind devotion to states rights became its downfall. The Confederate states had great difficulty cooperating with the administration of Jefferson Davis. Both taxes and the draft were necessary to keep the war going, but the southern states often wanted to provide neither money nor men; in their eyes, a tax or conscription law imposed by the central government violated the rights of the states. Because of its stronger centralization, greater resources, and eventual conclusion that slavery must be eliminated, the North was able to win the war.